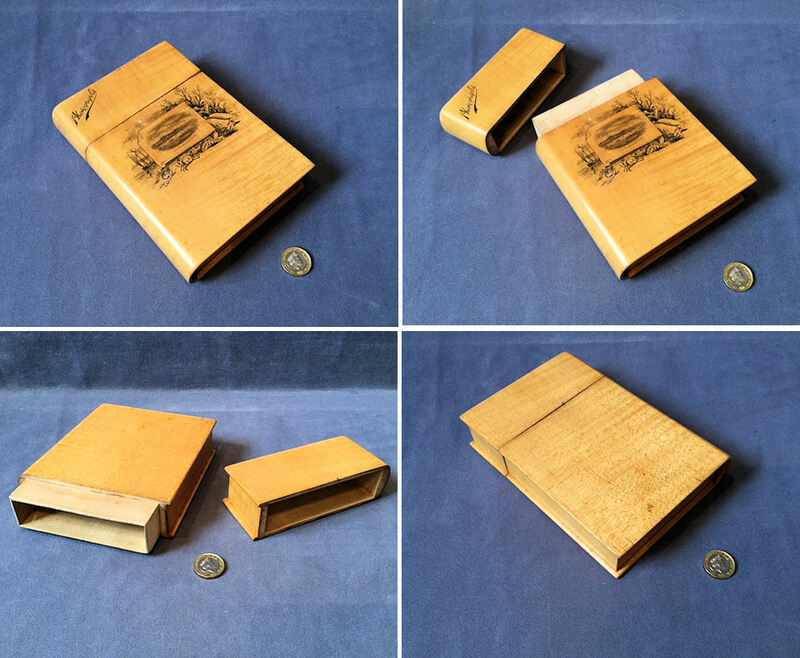 Original, quality circa 1900, two piece Mauchline ware box in the very realistic form of a book detailed to the top front "Photographs" and with a black printed scene of "Littlehampton" with seashells, seaweed and crabs etc. around. All in really super condition and the largest piece of Mauchline Ware we have had to date. Complete and in good and working order. 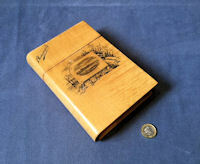 7.5" tall x 5.25" x 1.5". 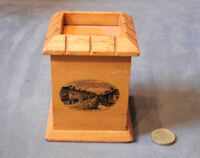 Original, quality 1920's cube shaped money box in sycamore in the form of a castellated turret, with a slide out money slot and a transfer picture of " Lumley Road Skegness ". Complete and in good order. 4" tall and base 3.25" square.